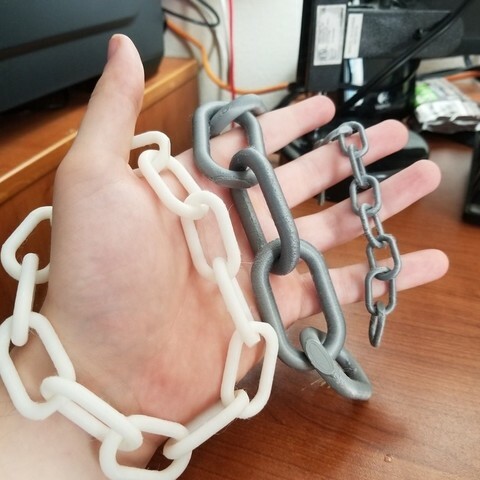 This is a somewhat simple but really fun way to make some 3D printed chains that resemble real chain. 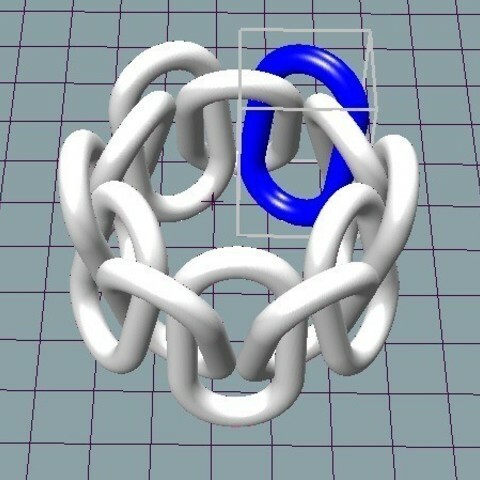 Simply scale it to your desired size, and position each link so that it is standing on the little flat side. 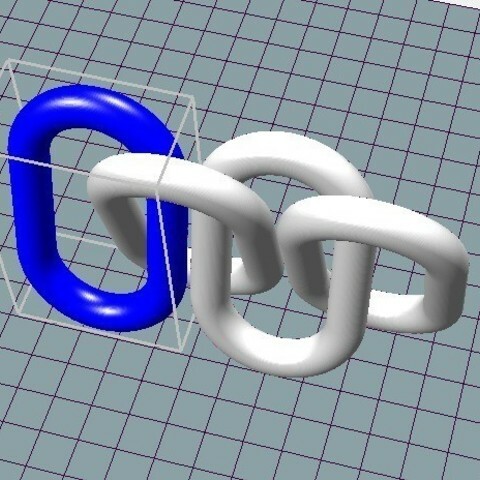 For a length of chain, orient the links so that they zig-zag each other by 180 degrees around the z axis. 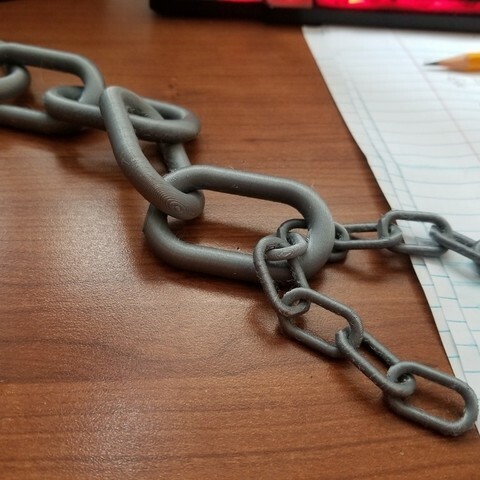 For a closed loop of chain, you need to orient the links so that each one not only has the zig-zag pattern, but each one is slightly more angled so that they make a circle. 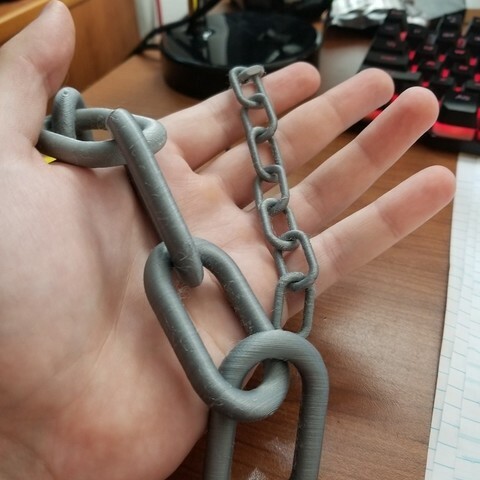 For instance, if you have a loop of 12 chains (as seen in the pictures), each chain needs to be rotated 30 degrees from the previous link relative to the original 0 or 180 degree rotation. For 30 links, the rotation is 12 degrees. 360 degrees/ # of links = degrees of rotation. 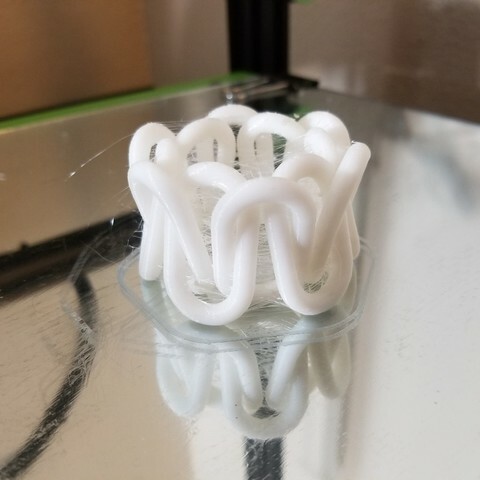 Also, make sure that each link isn't touching the ones around it, which is kind of tricky if you have a loop with a small number of links (12 was difficult for me). Otherwise, they will be fused together. 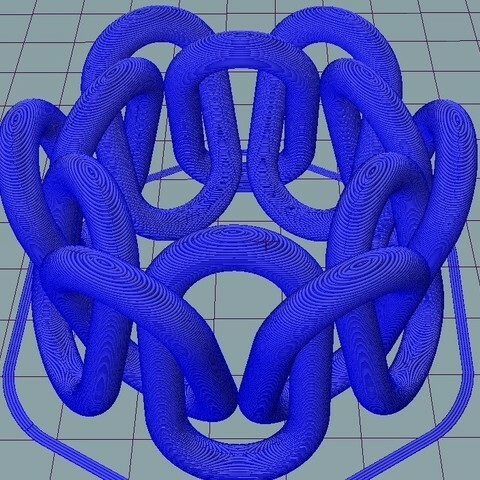 Use whatever infill and parameter settings make you happy. Also supports are not needed! Of course, if you want some stronger chain, beef up the infill and give it a protein shake. Happy chain making!